The first team did nothing in the summer transfer window, but Keystone sports is more than just the Union. 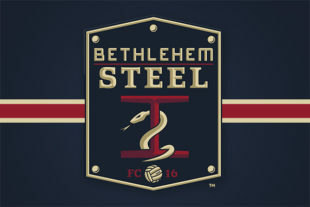 Bethlehem Steel FC have completed a transaction for 18-year-old central midfielder Antonio Lokwa. They completed it on August 8, the deadline day, before tapping off against the Charlotte Independence, and it has just been officially announced. The league, U. S. Soccer, and FIFA have already received and approved their paperwork, but the U. S. State Department has yet to receive something from the foreign ministry of the Democratic Republic of Congo – aka Congo-Kinshasa — necessary to complete the P-1 visa process. Here is what we now know. Coach Burke has called Lokwa a “holding midfielder,” mentioning him both as a 6 and as an 8. He is a fellow countryman to promising Steel flank midfielder Michee Ngalina. He has experience with the Congo-Kinshasa U-20s. Lokwa is not yet physically in the United States. He has been on loan in Moravia in the Czech Republic with MKF Vyskov of the Czech third division. He will be on loan from the Czech club in the United States for the balance of the 2018 season. In effect it is a several-week, well-paid trial period. Coach Burke’s comments are hopeful for 2019, but the club is moving one step at a time. A new source? Keystone may be getting serious about youth players from Africa. There have signed five from January to August in 2018. Olivier Mbaizo, Michee Ngalina, Faris, Prosper Chiluya, and Lokwa. And the organization employs a scout, Idris Kone, aka “Baba,” who hails from Mali in West Africa. Central midfield crowding: Another person joins the central midfield channel for the Steel. There are now five such Bethlehem players, James Chambers, Drew Skundrich, Omar Holness, and Mike Catalano being the other four. Time will clarify what the increase may mean, but it is hard to ignore the ages of Medunjanin, Bedoya, Dockal, and Chambers himself as one thinks about it. U. S. child labor rules. Youth signings this year have all waited until individuals were 18 years old. Currently, being 18 simplifies interaction with federal, state and local child labor regulations. Academy director Tommy Wilson has commented earlier that a committee is looking into the issue. Fans should note that some academy 17-year-olds will turn 18 later this fall. Sometime in September, after the government agencies have completed official immigration paperwork, Lokwa will arrive, take his physical, and begin practicing. Then we will begin to learn whether this deal will matter. I like this Cameroonian pipeline. Sooner or later it’ll pan out for the first team in Chester. Cameroon, Congo-Kinshasa, and Zambia, actually. Central Africa would be the best generalization I suppose.